The summer months have not resulted in any personnel slowdowns with several big names on the move. BGC Partners, Inc. last week appointed Dean Berry as an Executive Managing Director in its Global Electronic and Hybrid Execution team. He most recently served as the Chief Executive Officer for Global e-Commerce at ICAP. In addition, Berry brings to BGC Partners a long track record of leadership, market expertise and innovation, which will complement the firm’s top-tier e-commerce offering, and in particular, its hybrid brokerage model. 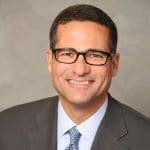 HSBC Private Bank, a subsidiary of HSBC Group, added Joe Abruzzo as its newest Business Head of North America Tuesday. In his new role as the Business Head of North America at HSBC Private Bank, Mr. Abruzzo has been tasked with steering and executing HSBC’s North American strategy for private banking with an emphasis on the United States. Given HSBC’s focus on domestic operations, Mr. Abruzzo will also act as a member of the HSBC Global Private Bank Executive Committee. 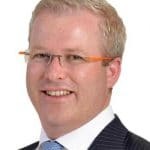 SpotOption, a binary options technology provider, selected longtime industry veteran Semi Vahap as the new CEO of its UK branch, SpotOption UK Ltd. He previously served as the firm’s Chief Commercial Officer from 2013. Mr. Vahap had been a mainstay at SpotOption since 2013 after a lengthy stint at several financial service providers, particularly in the binary options realm. This included his role as CEO of TraderXP from 2010 to 2011, and the same role at iOption until the company closed down suddenly in 2013. Prior to binary options brokers, Vahap also worked in executive level roles at Spark Networks and Netvision. Last Wednesday, HSBC Middle East, a subsidiary of HSBC Group, elevated longtime executive Georges Elhedery to the role of Chief Executive for the Middle East and North Africa (MENA). Mr. Elhedery has been a mainstay at HSBC Middle East since 2005, having previously focused on the MENA region, whilst serving as its Head of Global Banking and Markets – a position he began in 2014. The promotion of Elhedery follows on the heels of Mohammad al-Tuwaijri’s departure, who parted ways with the group to join the Saudi Arabian government as deputy minister of economy and planning. UBS Asset Management made a key new veteran hire last week, bringing in fixed income maven Hayden Briscoe to lead its Asia-Pacific team, following a lengthy stint at AllianceBernstein. In his new role at UBS as the Managing Director and Head of Fixed Income – APAC, Mr. Briscoe will be based out of Hong Kong, reporting to John Dugenske, the lender’s Global Head of Fixed Income at UBS. He steps into the new position with immediate effect, and will focus on one of the group’s marquee asset classes in the region. 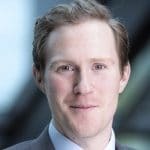 IS Prime, a provider of aggregated liquidity, prime of prime (PoP) capabilities and risk management, on-boarded Robert Buxton as the newest member of its institutional sales team last week. Mr. Buxton will be based out of London and will work on driving IS Prime’s execution business. He steps into his new role after garnering a lengthy career in the institutional space, having focused the Europe, Middle East, and Africa (EMEA) region, as well as e-FX sales – he joins IS Prime from Bloomberg Tradebook. 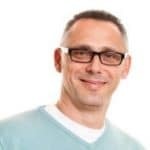 Leverate announced the appointment of Nir Shem-Tov as the company’s new Chief Operating Officer (COO) last week. News of the appointment comes less than a week after the company announced the departure of the group’s former COO and Vice President Product, Eitan Bar-On, who parted ways with the company to explore a new direction. Nir Shem-Tov was previously COO of platform solutions provider Websplanet, a role he held for 5 years in which he was responsible for leading the company’s technology and operation including overseeing R&D, product, customisation, implementation, QA and training together with customer and pre-sales support. 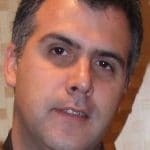 FlexTrade Systems, a provider of multi-asset execution and order management systems, added Shane Remolina as its newest Director of Sell-Side OMS Technologies for North America. In his new role Mr. Remolina will be based out of the group’s headquarters in New York. In this capacity he will be heading FlexTrade’s sales and business development, with an emphasis on its sell-side OMS solutions – he steps into the new role with immediate effect. 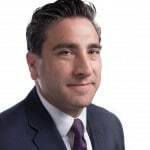 LionTree’s added one of the industry’s foremost dealmakers, Jake Donavan, who is pegged to leave JPMorgan Chase to join LionTree, a telecoms and media-focused boutique advisory firm. 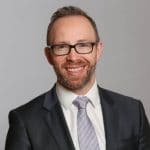 He joins LionTree as its newest president of the group’s Europe operations, where he will be responsible for growing the firm’s European business, based out of London. Mr Donavan is the second senior hire by LionTree, having secured Louis Kenna from BNP Paribas last year. UK-based bank Standard Chartered appointed former deputy governor of the Bank of Spain Jose Vinals as its Chairman, and Naguib Kheraj as the new deputy chairman. The new appointment completes a series of major changes at the emerging markets-focused lender, which included the appointment of Bill Winters, the former head of JPMorgan’s investment bank, as CEO last year. These sweeping board changes will clear the way for Winters to lead the major changes that Standard Chartered needs. Intercontinental Exchange last week made a new senior appointment, with ICE Benchmark Administration (IBA) naming Dame DeAnne Julius, one of the founding members of the Monetary Policy Committee of the Bank of England (BoE), as its newest Director of IBA. The IBA recently achieved a new mandate, in becoming the new administrator for the LBMA Gold Price (formerly the London Gold Fix).